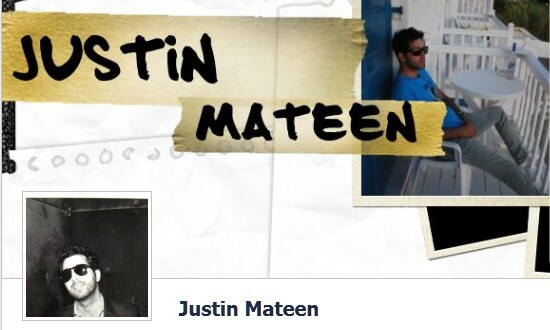 With the launch of Facebook’s new Timeline feature, everyone is going crazy about the Timeline covers. Everyone wants his/her Timeline cover to be unique and beautiful. People want to show their creativity and style through them. If you are not very familiar with the complicated photo editing tools, then you should try some tools dedicated for this purpose only. So in order to help you create awesome Timeline covers. We have a list of Free Handy Tools for Creating Facebook Timeline Covers. Check them out and pick the one that you like the most! If you like This Article , You Might be interested on Amazing Timeline Facebook Cover, Quick Tips For Creative Facebook Timeline Designs, Facebook Timeline Features , Facebook Browser Extensions and Increase Facebook Page Fans. With CoverCanvas you can create cover photo of three different types. One: Using a photo. Two: Using the text in your name. Three: A combination of photo and your name. Simple, yet awesome! This one is a fabulous tool with many customizing options. It lets you enlarge, rotate, or flip your photos according to your choice. Premium features include various photo effects such as Sepia, black and white, emboss and sketch. All you are required to do is to share the tool with your Facebook friends. Pic Scatter is a great tool that allows creating amazing covers for the Facebook Timeline. This site is also quite secure as its says: “Covers will be generated in your browser (no external server involved)”. You can take the images from a photo album, photos of friends, and the photos you like. As the name suggests, the photos will be shown as a scattered collection. Its free version has gray scale effects, while premium version has effects like sepia, vintage, pink, glow, etc. The cover made for free would also have a watermark. Its a paid service, using which you can create a Facebook Fans Page, Fans Gate, Promo / Coupon, Blog Feeds, and more. This tool allows creating your cover with your name, photo or photos together with your name. Selecting from the site’s static covers in various categories is also possible. Timeline Cover Banner is one of the best free online tools for creating custom Facebook Timeline covers. 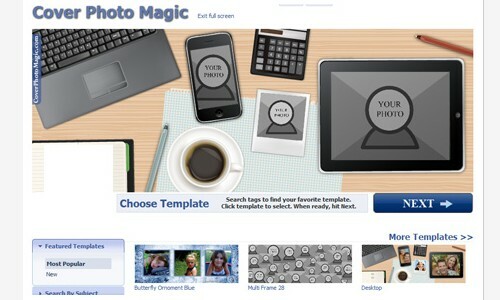 It has an easy to use interface, and it allows you to create a background from scratch or upload your own image. A gallery with many timeline cover background is also present. The best thing about this tool is that it does not watermark the covers. According to their website, it is a place for making, sharing and finding the highest-quality Facebook Covers on the web. Quite self explanatory. Cover Photo Magic is an easy to use tool that lets you create timeline covers in two easy steps. It has many templates in various categories like desktop, fashion and multi frame etc. That’s a screenshot of my app from a few months ago, it doesn’t look like that anymore. I hope you fix the link for me. Thanks. Hey, thanks for the article, been looking over and over for a good site for my covers!! I think you forgot http://www.pickura.com, new and upcoming but very nice covers there too! Find Some More Facebook Covers ….